We hope everyone had a fantastic summer. With Autumn upon us – change is in the air and we have a community update we’d like you to be aware of. On Saturday August 26th It’s family fun day in Rosewood. There will be a pancake breakfast, a petting zoo and a neighbourhood garage sale. As an added bonus this Rosewood Family Fun Day happens during the Parade of Homes. 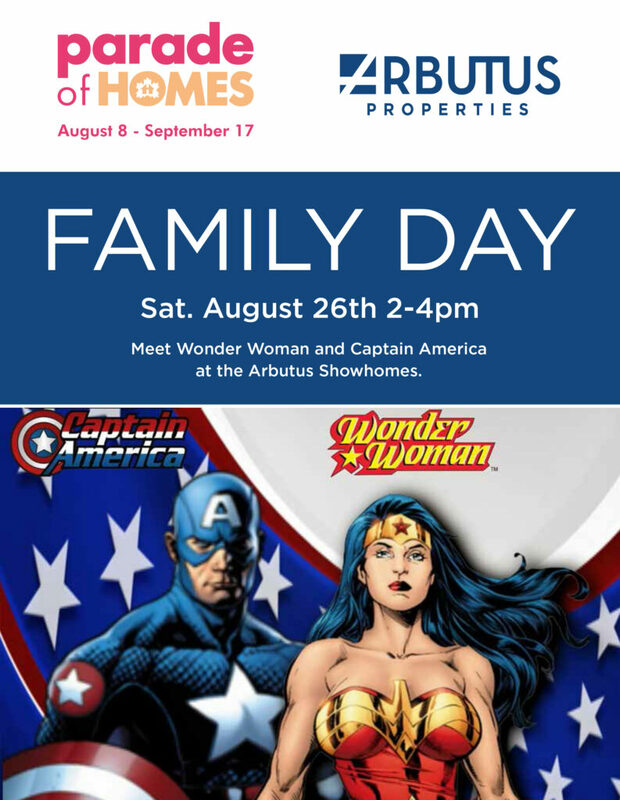 To make the homes a little more “powerful” we are having 2 Superheroes this Saturday from 2-4pm at 610 and 696 Meadows Boulevard. Join us! The schools are opening for the new school year! If you have yet to explore them, please put these dates in your calendar: Open House Saturday, August 26, 2017, 10:00 am – 12:00 pm. The Public School recently received it’s junior playground structure and The Catholic School structures will soon be constructed as well. We are sure by now you know that both schools have been fundraising for their senior playground structures and hope to be able to install them soon. The maximum speed limit in schools zones is 30 kph. School zone is in effect September 1 to June 30th – including statutory holidays. We have all been waiting for The City of Saskatoon to start construction on Struthers Park. However, we are sorry to inform you that the design of Struthers Park is not yet complete. The City of Saskatoon has suggested they are almost done the design and should soon be able to implement the plans. The City should be posting the tender for this park this fall but there is currently no set timeline for the construction of this park. If you are looking for more information regarding the parks in Rosewood – The Rosewood Newsletter is a great resource for all things community related. 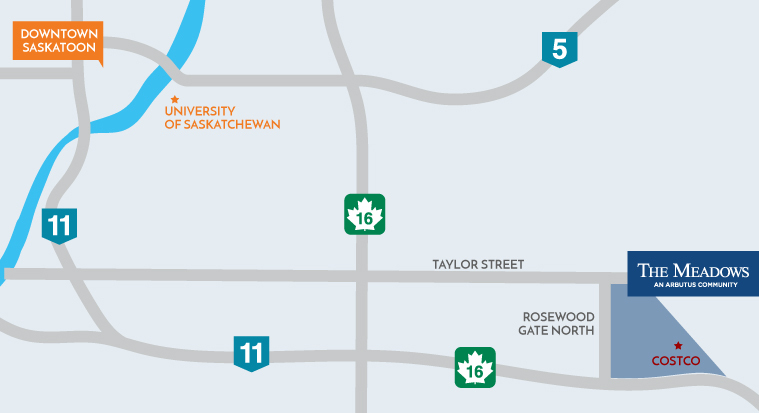 The Boychuk Drive / Highway 16 Interchange – changes have been made to the existing intersection with the redirection of traffic flow. Watch for workers in this area, as well as other drivers that may be unsure of the detours. Watch your speed in the construction zones. Speed limits vary between 40 kph and 60kph. As you know, the residential area of Rosewood/The Meadows is currently not connected to The Meadows Market commercial area. Work was anticipated to continue this year and we will keep you up to date on the progress on The Market | Shops | Restaurants and construction as it continues. The Meadows Market will include a mix of groceries, sporting goods, medical offices, restaurants, fashion stores, coffee houses and more. We hope to be able to open the next phase of The Meadows Market by mid 2018. However, this is a tentative date. Please subscribe to email list or like our Facebook Page for updates.